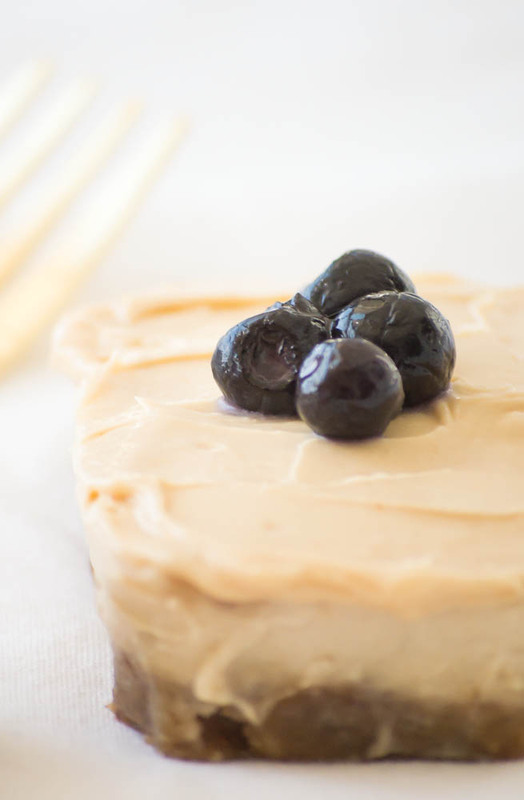 This recipe is not Grandma's cheesecake, but it more than satisfies my creamy cravings. It also happens to be the easiest recipe ever . . . no baking involved. The crust consists of two, YES TWO, ingredients and the cake is just FIVE! Eat them frozen or let them sit for a bit. 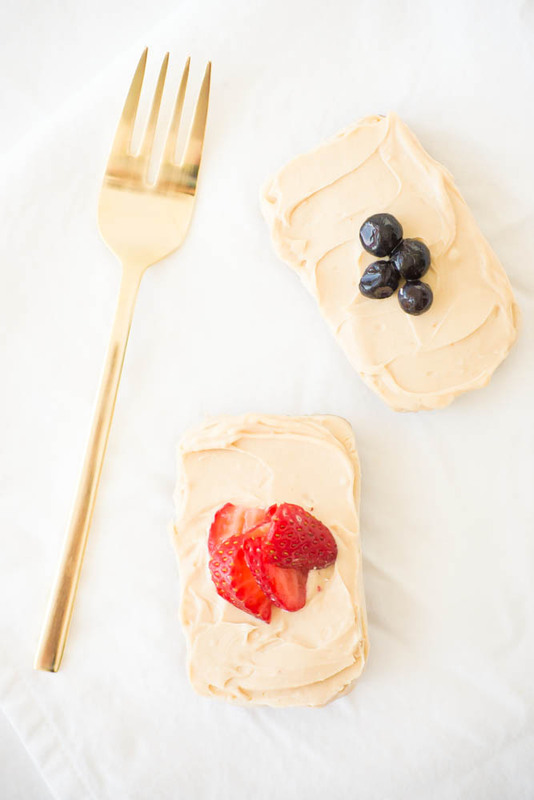 What I also love about these cheesecake bars, is they're perfectly presentable and may be treated like a blank canvas. Top them with whatever flavor or look you're in the mood for! 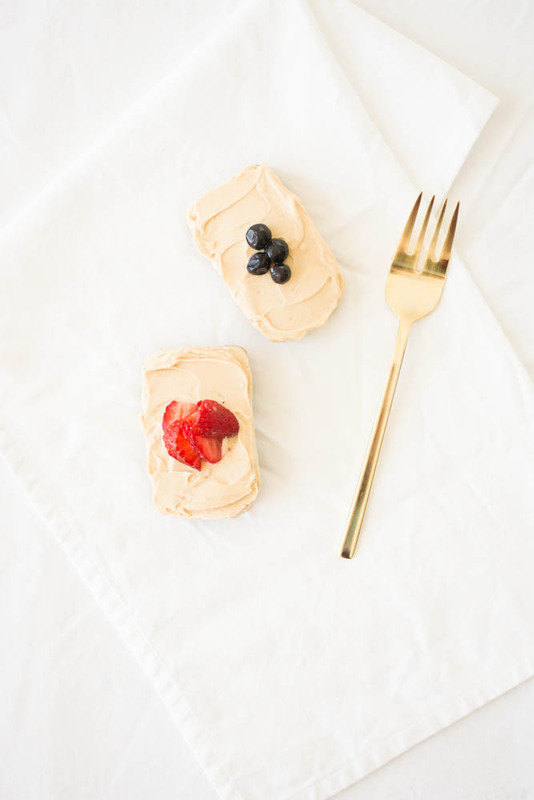 I went with my go-to flavor (peanut butter) and topped it with leftover peanut butter mousse. My fiancé went with fruit and LOVED them! In fact, I was traveling last weekend and came back to realize they were all gone ;) So yes, I will say they are fiancé approved! 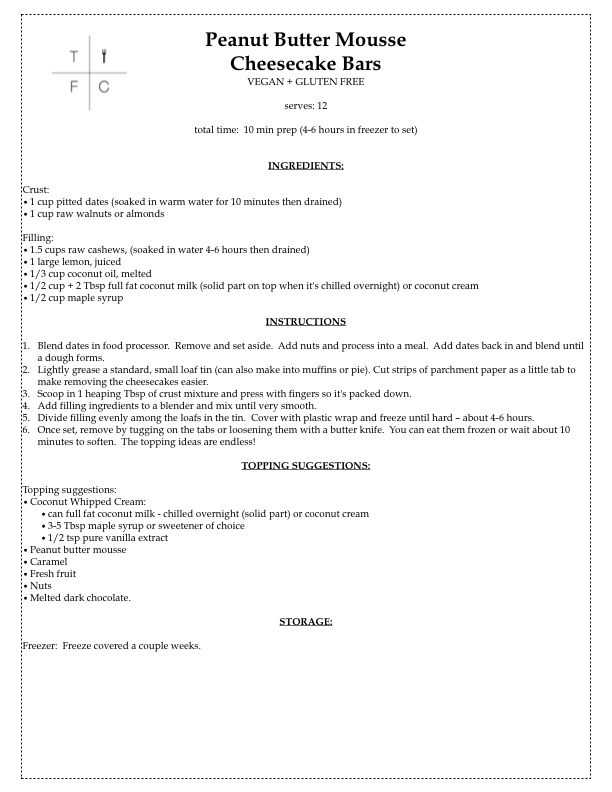 Blend dates in food processor. Remove and set aside. Add nuts and process into a meal. Add dates back in and blend until a dough forms. Lightly grease a standard, small loaf tin (can also make into muffins or pie). Cut strips of parchment paper as a little tab to make removing the cheesecakes easier. Scoop in 1 heaping Tbsp of crust mixture and press with fingers so it's packed down. 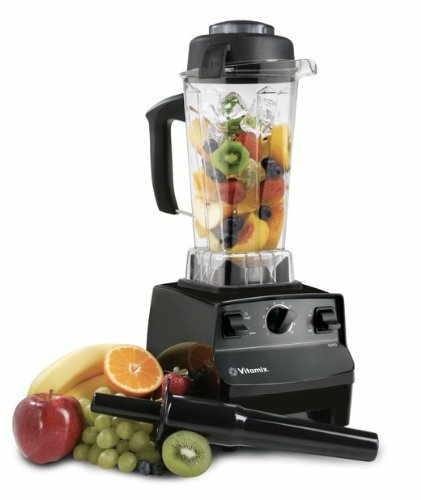 Add filling ingredients to a blender and mix until very smooth. Divide filling evenly among the loafs in the tin. Cover with plastic wrap and freeze until hard – about 4-6 hours. Once set, remove by tugging on the tabs or loosening them with a butter knife. You can eat them frozen or wait about 10 minutes to soften. 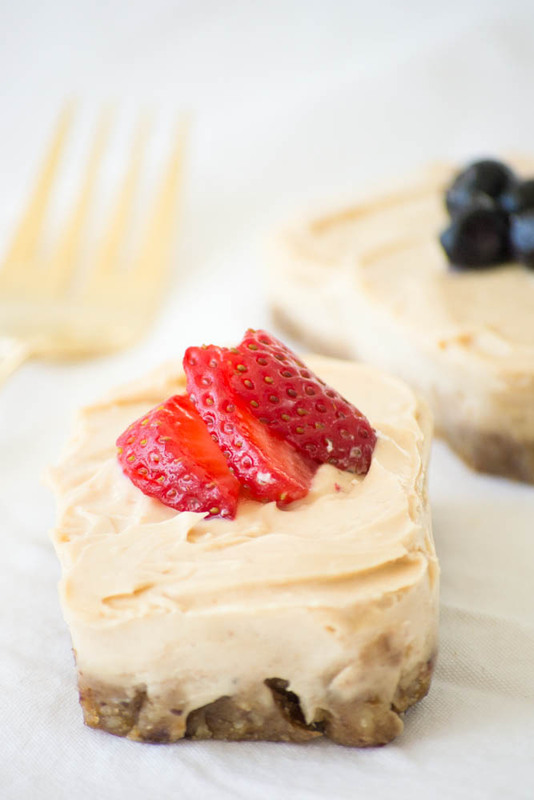 The topping ideas are endless, but I used a thin layer of vegan peanut butter mousse. Freezer: Freeze covered for a couple weeks.